Born in the year of the rat 1984, my introduction to GW and Citadel miniatures was pretty identical with Migs and Kari. Yes there was Space Crusade and Hero Quest and yes those older boys with more painting skills and pocket money led the way. Years passed and I found WH fantasy battle & 40k and started to spend all my money to those white metal gems that you could order via paperback catalog! Things went nicely and even the plastic regiment boxes started to come out eventually making things even easier. It was never about the game or the rules for me, no I think I lost every game I ever played, no it was something else. The 2ed. 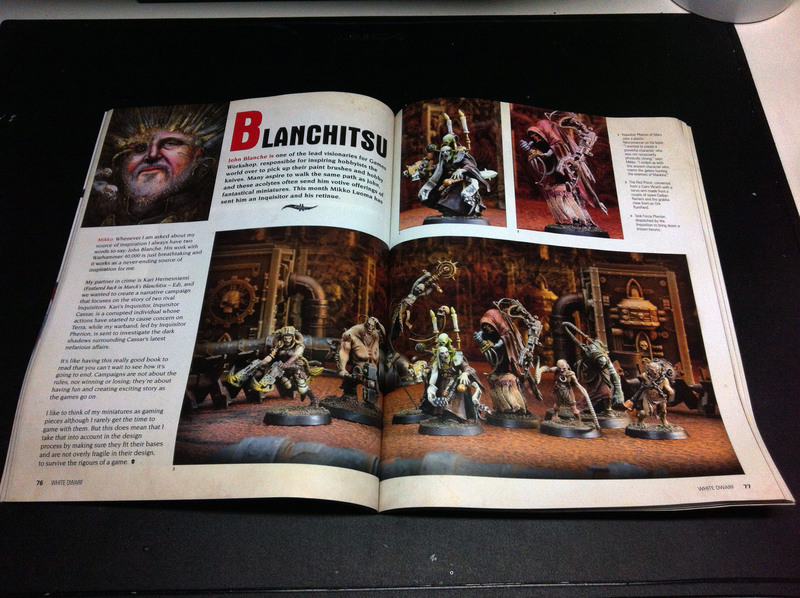 Codex Chaos book was something that truly changed the way I saw GW miniatures. Reading the book I suddenly realized that those Space Marines I had painted for years had history and background so thick you could smell it! 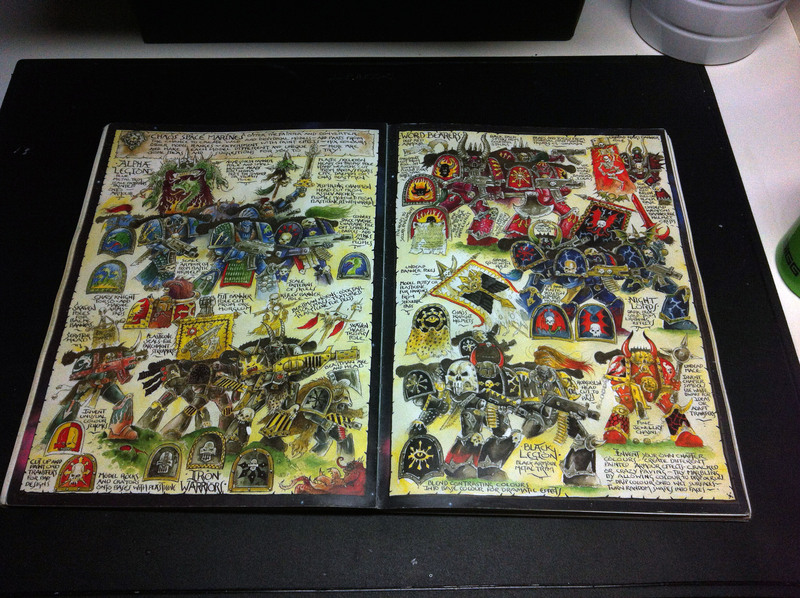 And the ‘eavy metal pages in the middle of the book revealed a spread illustrading how to convert your Space Marines to look like they have lived 10 000 years in bitter defiance! That spread literally blew my mind! Studying the liner notes helped me to realize how proper conversions were made. Thank you John!!!! I continued to venture in this grim darkness until late nineties when it came to an end. Suddenly the grim darkness around me cleared and I discovered that there where girls to chase, beer to drink and countless parties to attend! As I devoted my self to the life of a young party dude all those books and miniatures I had collected were starting to gather dust and were forgotten, excluding those random accidents when I picked up a copy of White Dwarf at the local kiosk and hastily browsed it to see if there was something cool coming out. My passion towards GW miniatures never went away, more like it was hibernating in a hope for better days to come, and oh boy there was some better days ahead!!! So it was set, that I was destined to meet Kari one day. The encounter happened in a bar when my friend recognized Kari and introduced us. Only few pints later & we were already talking about GW miniatures like old friends and sooner than I realized, I was back at my childhood hobby and Spiky Rat Pack happened. Spikey times were great and our friendship with Kari seemed to generate lots of good vibes in form of miniatures and people found our blog. But most importantly our childhood inspirator John Blanche also found our blog and eventually we got to know John personally. Getting into the “scene” introduced us to numerous other great hobbyists and many of them have become good friends with us. 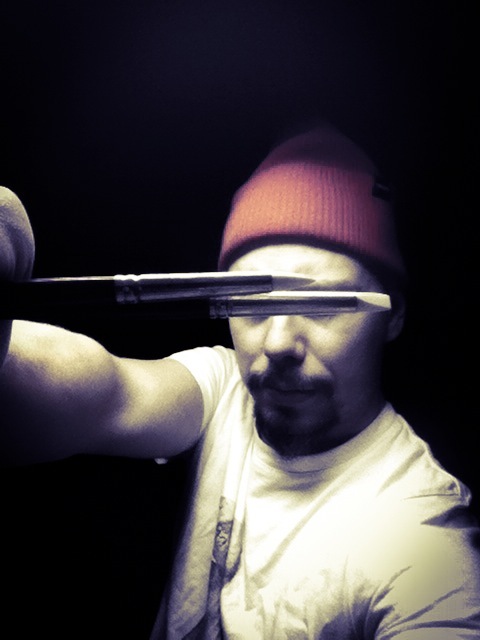 Migs is definitely one of those people whose work I have admired for years and now we share this wonderful blog together! I really really hope you continue to follow our blog and share it to your friends as well! Remember it’s all about friends having fun with each other and that’s what this hobby is all about! Together WE ARE LEGION! That monster coffin is one of the coolest models ever created! As a Finn, I would find it really difficult to imagine GW stuff other than english! Another great story. This blog has really gone off with a bang. And good to see a fellow 84’er painting away. Look forward to more of your miniatures as well. It’s always interesting for me to hear gamers talk about their 40K experiences during the late 90’s – I started playing 40K with the first edition Rogue Trader rules, and stopped (also because of girls) before 2nd edition came out, and didn’t start gaming again until the early 2000’s, so I missed out on most of that decade of GW. This is the first time I’ve seen that conversion spread – timeless advice. If I would lose my personal copy of that codex, I would immediately re-buy one just to get that spread 😉 great stuff! I would probably buy a copy of that codex just for that spread as well. Those two pages are just a piece of legend, as yours in blanchitsu. I got the french version of this codex.